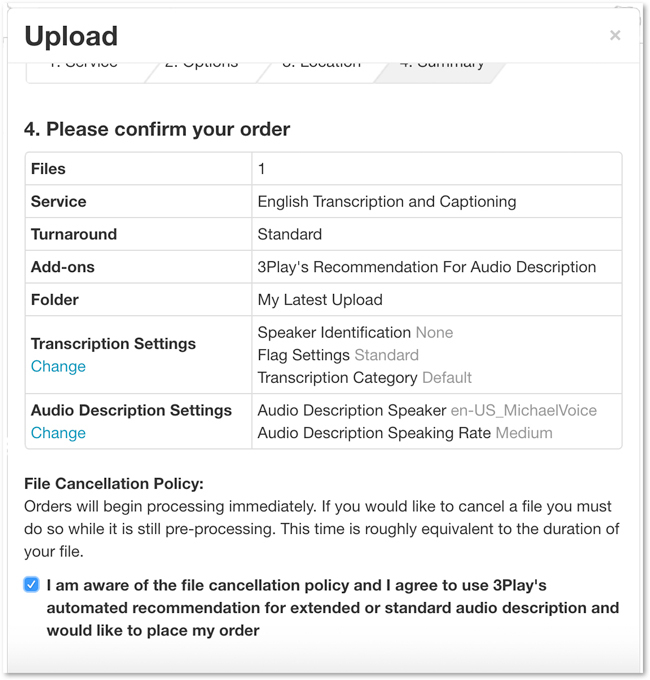 Follow the steps below to add Audio Description to your order when uploading media files directly to your 3Play Media project for the English transcription and captioning service or for the English transcript alignment service. Please note though that ordering Audio Description is possible if a 3Play Media file is going to be created by using the Captions Import Service however the file will first need to be imported and only once a source video is added to the file will the ability to order AD be possible. Audio Description can also be ordered for a completed 3Play Media file, click here to learn how to order Audio Description for a media file that has already been transcribed/captioned, aligned, or imported. Click the Upload Media tab and choose either From Computer, From Links, or Linked Account to begin the upload process. Please note that the Linked Account option will only work for this use case if the integration supports uploading from directly within 3Play Media. From the Upload menu choose the desired service. 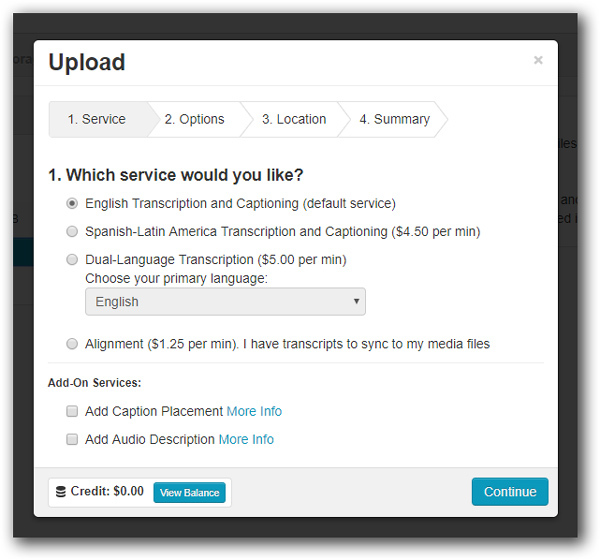 Please note that Audio Description is not available as an Add-On Service if the Spanish-Latin America Transcription and Captioning service is selected. Check the box Add Audio Description under Add-On Services. Audio Description will complete within 5 business days from the day the transcription and captioning process is completed. 1) Choose a faster turnaround option for the transcription and captioning process, as audio description will begin processing as soon as transcription and captioning is complete. 2) Request access to the Audio Description Turnaround module as described in this article. When activated, this module allows you to choose between various turnaround times for audio description. 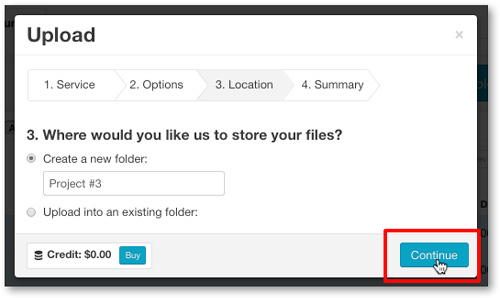 For Location, choose an existing folder to upload the media files to or create a new folder for this upload. Once a folder has been selected, click Continue. Review the order and check the box acknowledging you are aware of the cancellation policy. Once you have acknowledged the cancellation policy click Place Order.